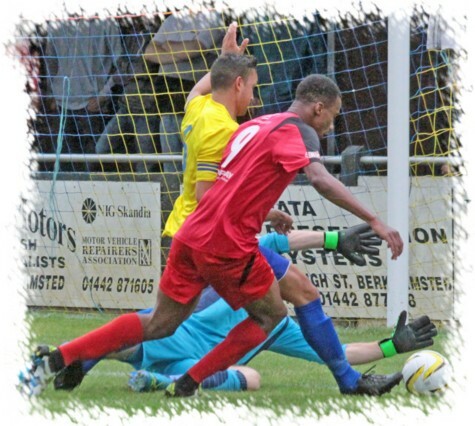 Hayes & Yeading's pre-season improvement continued with a solid 3-0 victory away at Spartan South Midlands Premier side Berkhamsted on an unseasonally wet July afternoon. United started off well with a couple of early attacks being led by Vincentian international striker David Pitt. The first opening he took on himself as his driven shot at the end of his own run was defelcted upwards and held by home stopper Carl Tasker. Minutes later he held the ball up well and having turned his marker laid it off to Mergim Qarri who was inches too high from 20 yards out. 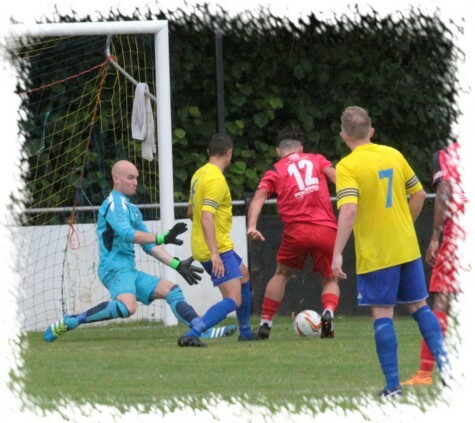 On 20 minutes the home side had their first real look at Jack Smith's goal as a 25 yard shot was drilled in by Chris Cutler, going just wide of the United upright. Within two minutes United were back on the attack as another Pitt run saw the striker set up a shooting chance for Omar Daidouh, forcing Tasker to tip his effort over the crossbar. 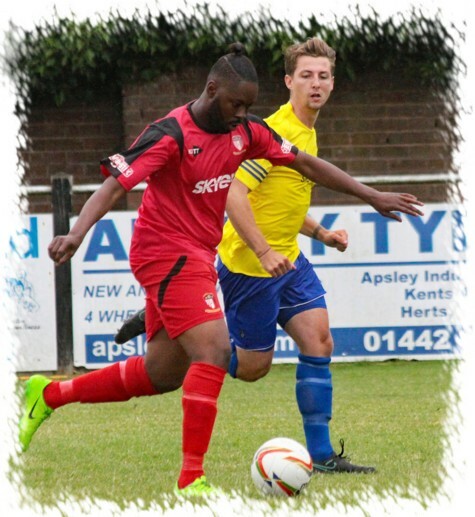 United's deserved breakthrough came in the 30th minute, Josh Chamberlain collected the ball on the left and played it square to Manny Duku sho pulled the trigger from 20 yards with the shot flying past Tasker and in off the underside of the Berkhamsted goal. Three minutes later the lead was almost doubled as first Duku had a shot deflected over after good build up work by Daidouh and then from the resultant corner Tom Smith headed the ball back over Tasker only for Cutler to clear the header off the line. Berkhamsted had a couple of good chances as the break approached, Stacey Field fired just too high after collecting the ball on the edge of the box and this was quickly followed by FRank Jowle running through on goal only to be denied by a strong hand from Jack Smith which saw the ball run to Field who saw his effort strike a teammate on the floor in the box. The final chance of an entertaining first half fell to United as Pitt slid the ball to Duku who was denied by Tasker who was quickly off his line to block. The second half unfortunately was not to be quite as exciting as the first with clear chances severely limited, the first of which was a second goal for United on 70 minutes. Daidouh receibed the ball on the right and whipped in a cross that Sean Coughlan brought down and laid off to fellow substitute Peter Skepetis who squeezed the ball through the smallest of gaps inside the near post from close range (above left). Six minutes later United wrapped up the game when the same three combined, Daidouh sending Skepetis through on goal and he in turn rolled the ball square to Coughlan who stumbled but still manager to force the ball home. Final chance fell to the home side eight minutes from the end when Alex Campana broke away on goal only to be denied by Jack Smith who was out quickly to smother the ball at his feet.